Info "Use your minty-fresh breath to cool things off." 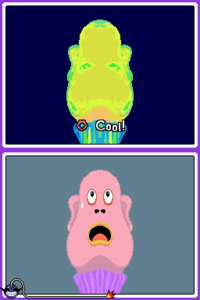 Cool It is a microgame found in WarioWare: Touched! in the Mic Rocking stage. The objective is to blow into the mic to cool random things off. 1st level difficulty: It takes a small amount of time to cool the coffee off. 2nd level difficulty: It takes a bigger amount of time to cool the man's face off. 3rd level difficulty: It takes a big amount of time to cool the city off. This page was last edited on April 7, 2018, at 05:18.